Wednesday already?! I feel like I just entirely skipped over an entire day. When I got home from work I ended up passing out for the rest of the night, that's around 6PM till this morning. Yeah... I'm the real life Sleeping Beauty sometimes haha. Instead of waking to a kiss, however, I wake up if you put some food under my nose. Yeah, that's me in a nutshell. Anyhow, I have something awesome to share with you guys today. Super excited. It's Part II of the Doctor Who Collection by CDB Lacquer! You can check out Part I of the collection right here. Doctor Who is such a huge fandom that CDB Lacquer will be releasing more and more continuations to this collection as time goes on. Such a cute idea, totally digging the concept. Now let's get to the beauties! 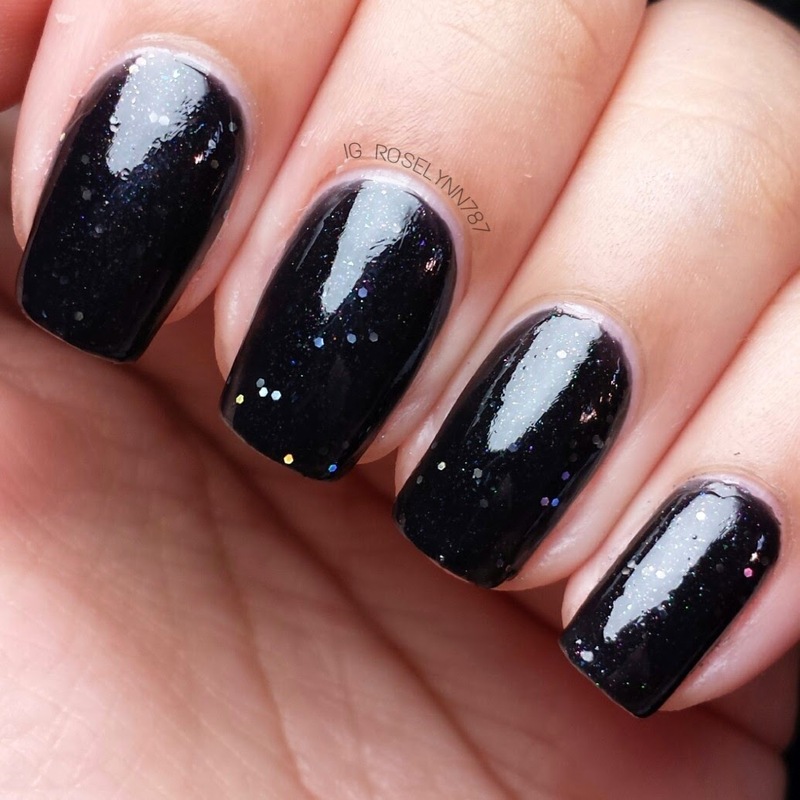 Starting off we have Cosmic Pull, a black jelly filled with silver hexes and shifting rainbow micro glitters. 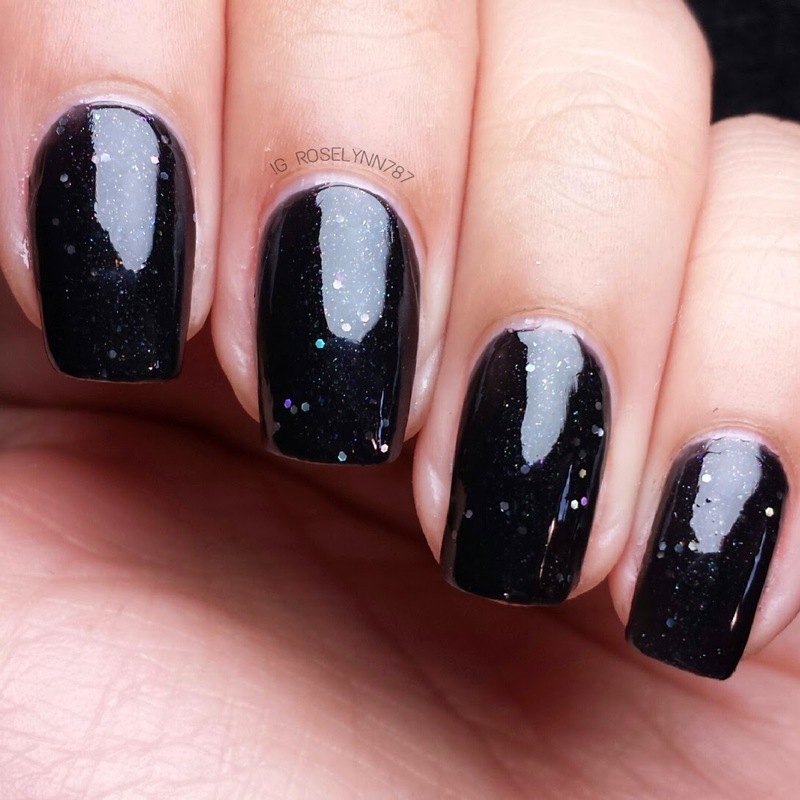 Perfect name for this outer space looking beauty. The color shifting glitters really make this black jelly pop. I'll admit I was hesitate at wearing a black polish but was pleasantly surprised at how lovely it looked. The shifting rainbow glitters definitely add the needed touch. Swatched over a clear base coat, used three thin coats, and sealed with a glossy topcoat. Really good formula, glitters applied flawlessly with each brush stroke. 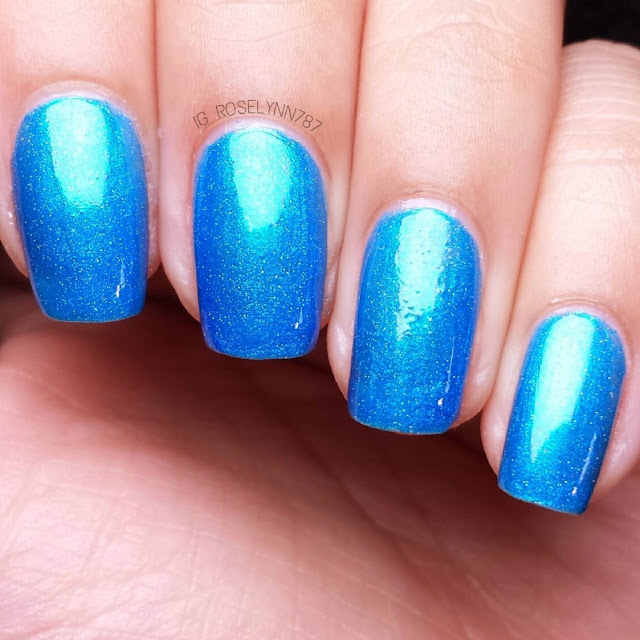 Next we have Magic Box, a beautiful bright blue crelly filled with rainbow shifting micro glitters. Isn't this color stunning?! The brightness is laced with a pearly feel making Magic Box enchanting. Usually when I see a polish this shade I get a little afraid of the heavy pigmentation, however, I'm happy to say no staining happened whatsoever. 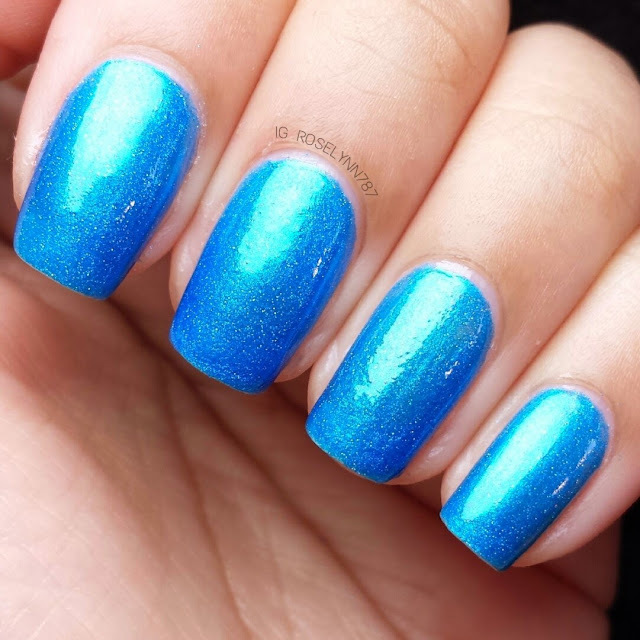 Swatched over a clear base, used two thin coats, and sealed with a glossy topcoat. You'll definitely need two thin coats at the very least to avoid sheerness. The application was really good, no streaking. I didn't get a chance to do this but I feel like adding a matte topcoat would make it look even more eye-catching. I can't wait to try that sometime. 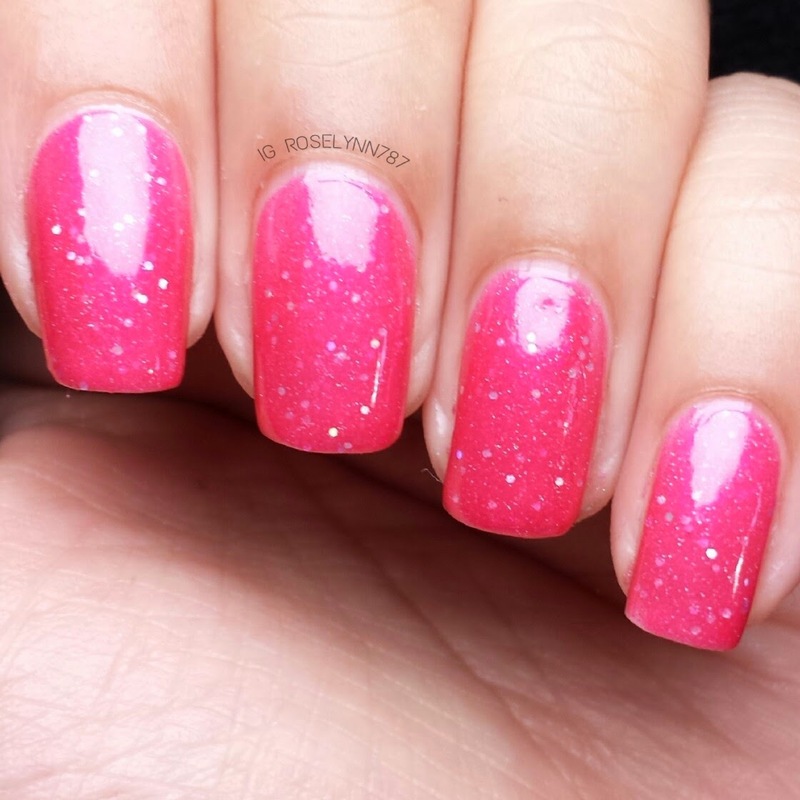 Next we have Hello Sweetie, a coral pink crelly filled with shifting rainbow hexes and micro glitters. Definitely the sassiest shade in the bunch, Hello Sweetie is my favorite in the collection. 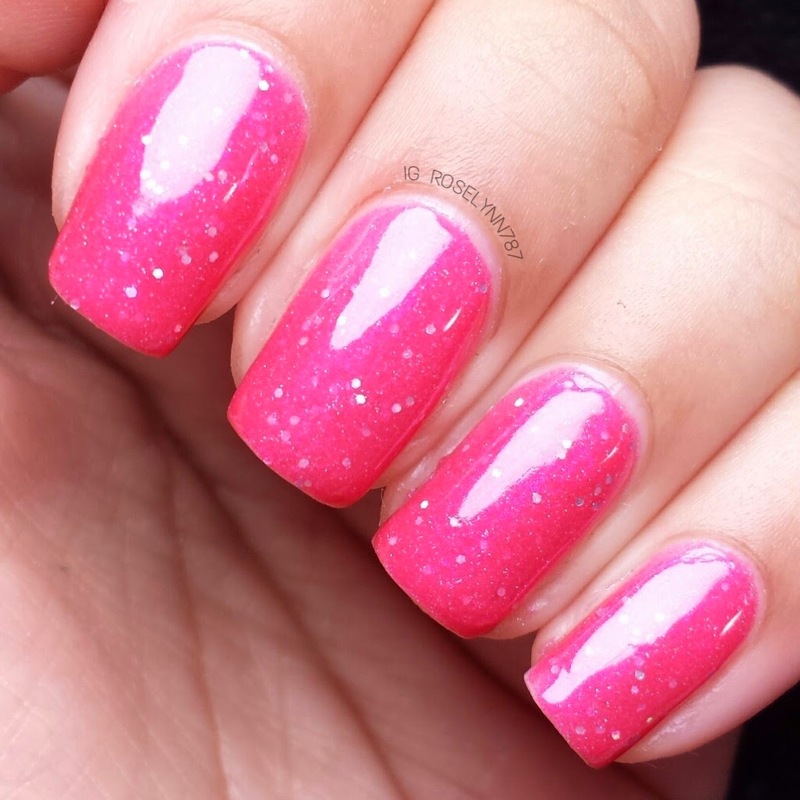 From the rich shade to the sparkling sparkles, this shade cute and fierce. 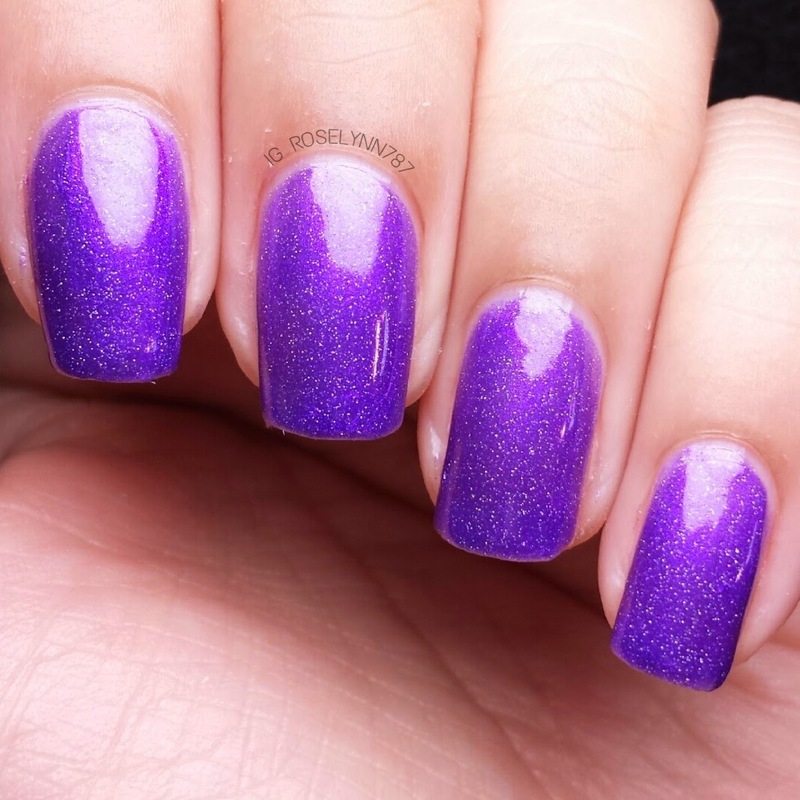 Swatched over a clear basecoat, used three thin coats, and sealed with a glossy topcoat. Apply in thin coats to avoid possible glitter build-up around the tips. Overall the application is very smooth and easy to use. The glitters did not give me any problems and applied with ease from each brush stroke. And to conclude the collection we have The Doctor Lies, a bright purple crelly filled with shifting rainbow micro glitters. 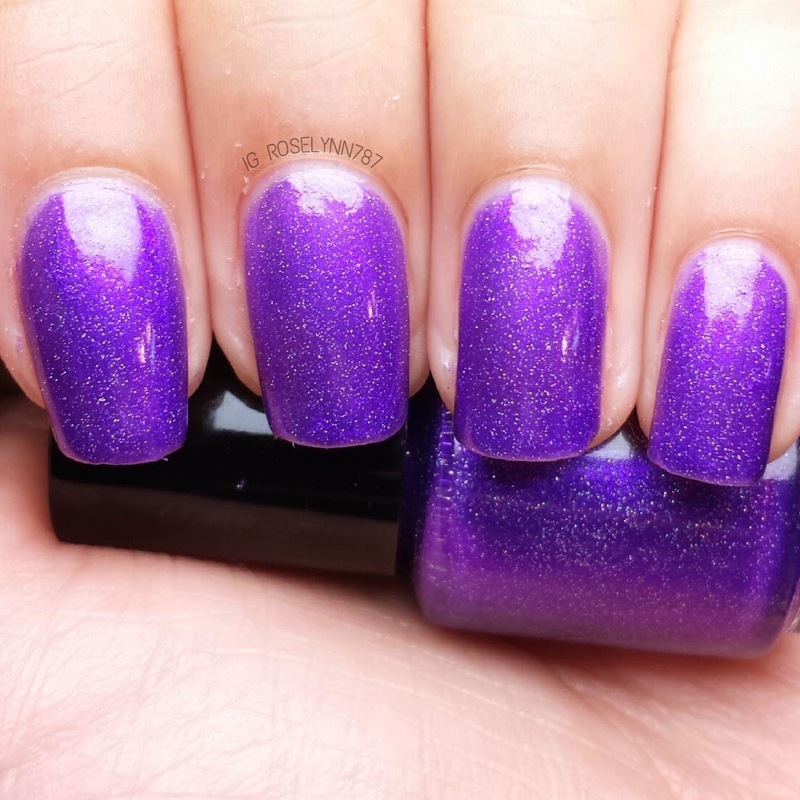 The Doctor Lies is so vibrant it's unreal, one of the best shades of purple I own. 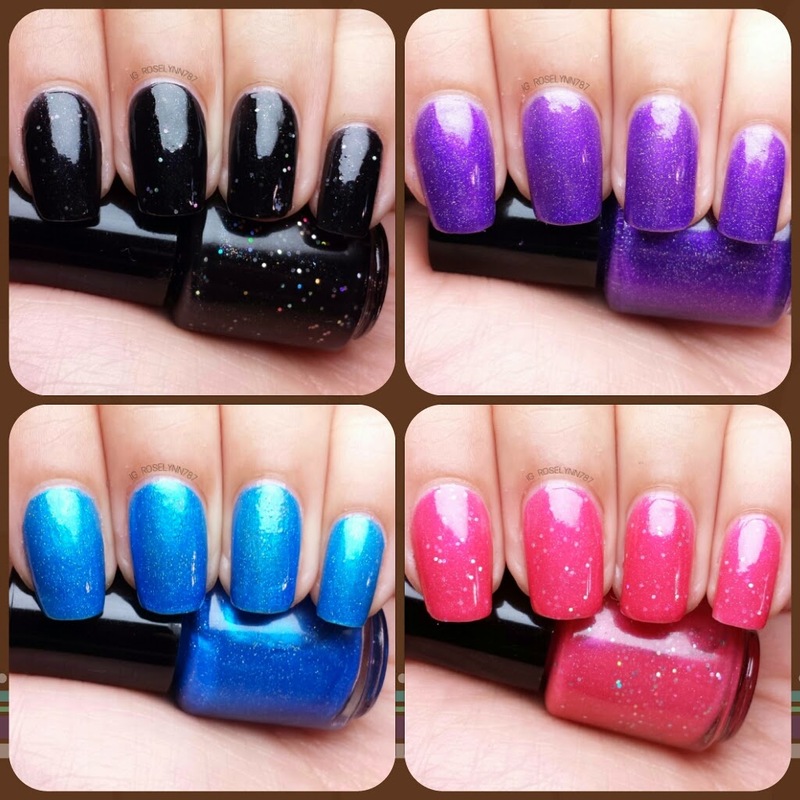 The micro glitters shift in rainbow like affect, making it stand out even further. Swatched over a clear base coat, used three thin coats, and sealed with a glossy topcoat. No application problems. Very good formula with no streaking. Part II of the Doctor Who Collection is overall just as amazing as Part I and makes for some nice variation from the first batch. I love all the shades, Hello Sweetie just screams summer favorite to me. Overall I didn't experience any problems with the application or formula of any of them, all apply very smoothly and without streaking. I'd definitely recommend these, you don't have to be part of the Doctor Who fandom to be able to adore the beauty in each one. 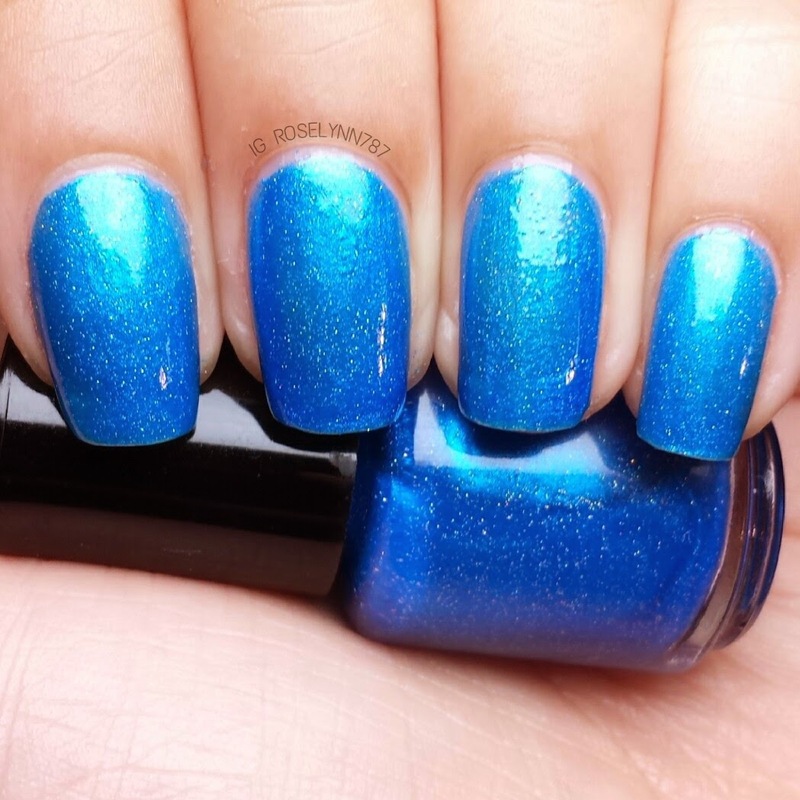 Of course, being part of the fandom makes it that much more fun as I have not come across Doctor Who inspired polishes elsewhere. The Doctor Who Part II collection releases on March 28th! Be sure to use the code CDB10 at checkout to receive 10% off (cannot be combined with any other code).